When it comes to menswear no one can deny the design prowess of English designer Paul Smith but his creativity is not just restricted to fashion. Exploring his website, I came across a number of home accessories and knick-knacks that would look fantastic in a modern home. 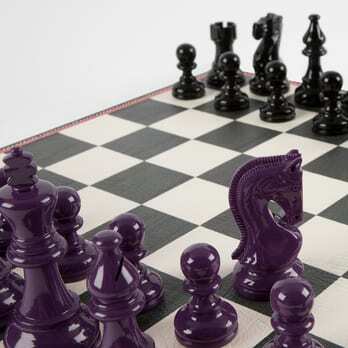 The Paul Smith Limited Edition Chess Set in particular caught my eye since Smith has revamped the old age game in his own inimitable style. 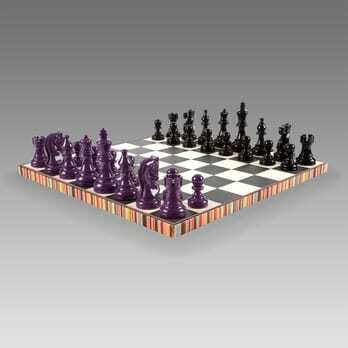 The set includes a board storage case and a pieces box and the hand-made Chessboard features a multi stripe leather trim around the base along with a leather black and white check with red outline and white contrast stitching on the top. The top is further embossed with the Paul Smith signature, and the bottom is covered in purple suede for that added style. 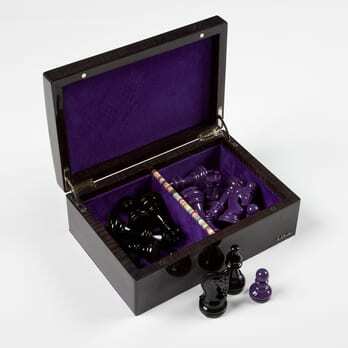 The pieces are stored in a black lacquered Sycamore veneer box with purple suede lining and multi stripe leather trim on divide and the wooden Chess pieces are all handmade and lacquered in both black and purple, with felted bottoms.